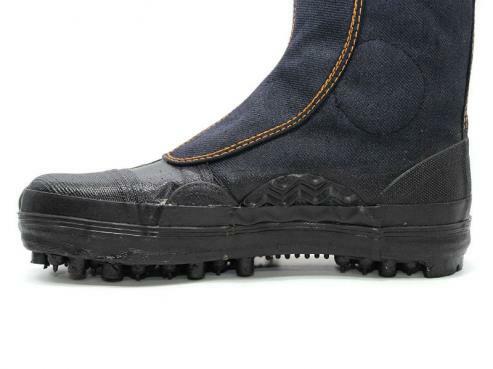 A different kind of jikatabi, with three velcro fasteners for convenience and a perfect fit. The toe is split but webbed to revent clogging with grass, leaves, dirt, etc. 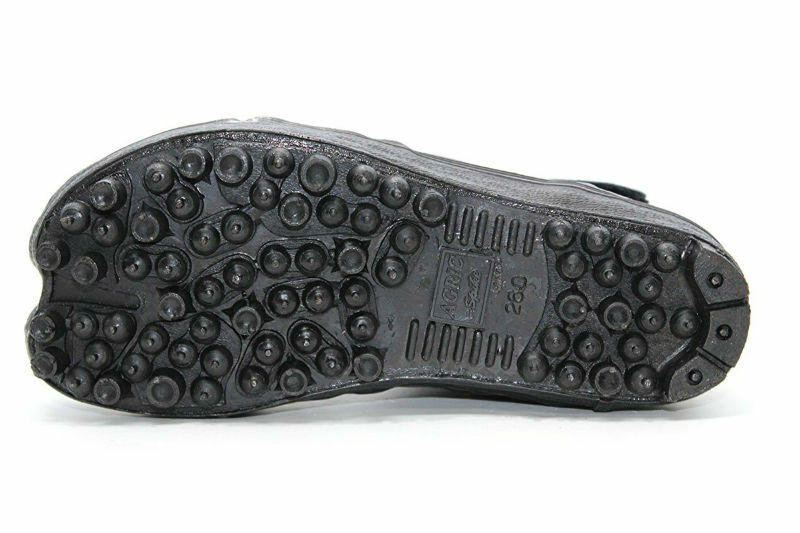 The rubber "spikes" on the sole give amazing off-road grip. 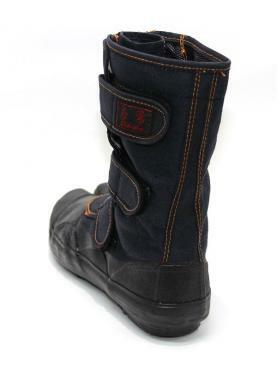 Soukaido make very sturdy work boots. This jikatabi type has rubber "spikes" on the sole; protective padding for the ankles; three velcro fasteners for convenience and a perfect fit; a tough but flexible rubber sole. 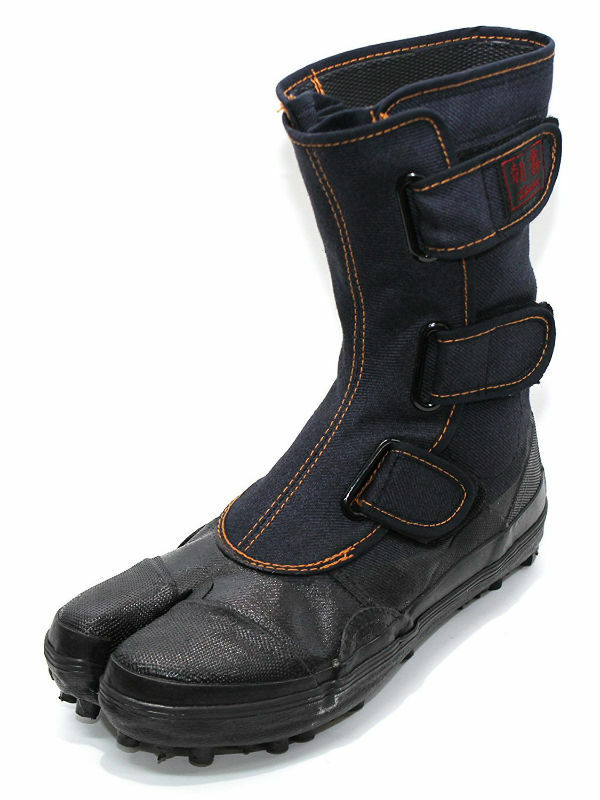 Similar to the I-98 model, but up to 30cm size and with a webbed toe to prevent clogging with grass, leaves, dirt, etc.